The biggest health threat of today's World: #Diabetes. Which is the most common ailment today? Our pancreas secretes hormones and helps in digestion. Normally, when the sugar level in the blood rises, the beta cells in the pancreas produce insulin which causes cells to absorb sugar and use it as energy or store it as fat. This regulates the blood sugar level. 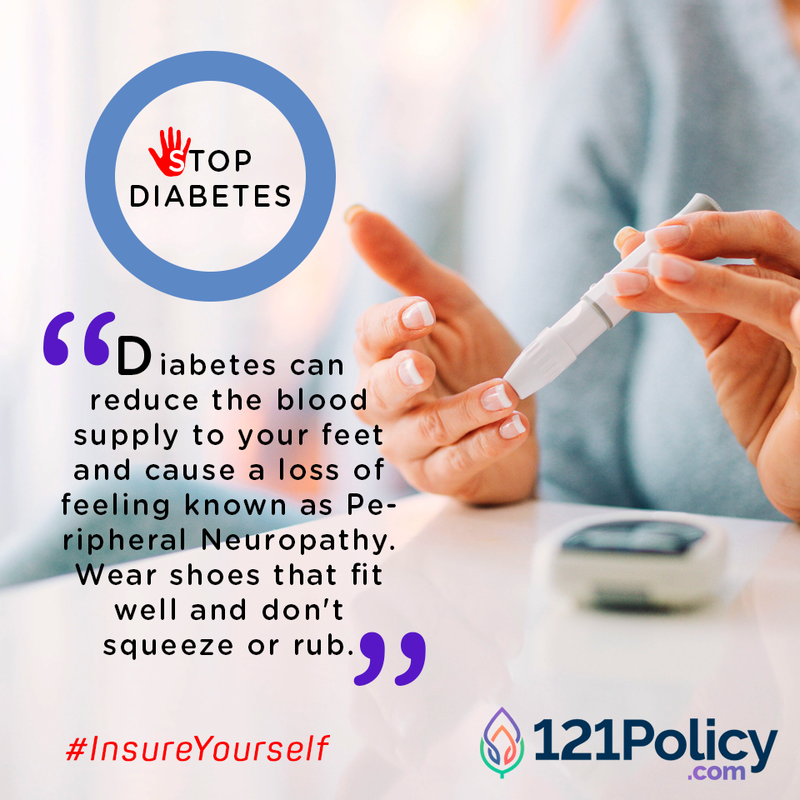 In case of diabetes, the pancreas is either unable to produce insulin or the produced insulin is unable to be used by the cells causing the blood sugar level to increase abnormally. Diabetes might be broadly divided into two types – Type 1 Diabetes and Type 2 Diabetes. Type 1 diabetes – this type of diabetes is not very common and is mostly found in children. In this condition, the immune system of our body destroys the insulin producing beta cells. As a result, very little or no insulin is produced by the pancreas and the blood sugar levels rise. Type 2 diabetes – this is the most common type of diabetes which is found in adults or older people. In this form of diabetes, either sufficient amount of insulin is not produced by the beta cells or the body is unable to use the produced insulin properly. Whatever the type of diabetes you have, managing it is very important. Uncontrolled diabetes leads to various physiological problems and wreaks havoc with our health. Our kidneys, heart, blood vessels, eyes, mouth, feet and nerves stand the danger of being damaged due to diabetes. Surgical procedures are risky for diabetics as the chances of infection are high. Though physical exercise is important for everyone, diabetics require a strict exercise regimen for managing their condition. An exercise regimen should be planned and regular. Exercising helps in burning the sugar and making the body more sensitive to insulin. By influencing fat and cholesterol levels, it helps in maintaining the health of your heart and also aids in controlling blood pressure. Yoga and meditation also helps in controlling the insulin flow of the body by reducing sweet temptations and can be a good aid. Proper Diet forms the most important feature of a diabetic patient. Food, which is low in sugar, salt, saturated fat and trans fat should be eaten. Food rich in fibers should be preferred over refined foods. Water should form an integral part of your daily routine. In fact, these health tips are not for Diabetic affected people only but as a preventive tip for all of us in the so-called #AwareWorld! Deep fried stuff, colas, excessive sweets, etc. should be avoided as much as possible. White flour products like noodles, pasta, parathas and bread should be replaced with healthier substitutes. Alternative cooking methods like boiling, poaching, grilling, baking, etc. should be resorted to cook the food. Skimmed milk, lean meat, green leafy vegetables, citrus fruits, unrefined flour and whole lentils should be your favorite food choices. Diabetes is usually not curable and a diabetic depends on insulin medications to lower the blood glucose levels. Insulin shots or injections become important for Type 1 diabetics while oral medication is sufficient for Type 2 ones. So, stick to your regular medication and follow a good diet with a strict exercise regime to control your diabetes. Diabetes is a dangerous ailment and it poses a threat to other vital organs of our body. Though you cannot free yourself completely from its clutches, managing your diabetes is simple if you follow the above-mentioned advice. Recharge is the reinstatement of the total sum that is assured. If the particular claim being made is payable as per the policy, the company shall mechanically reinstate the sum assured for the specific policy year. Recharge and Restore pertain to return of the total sum assured in your particular policy year, albeit with different terms. Dental treatments, which are very common and frequent, also end up burning a hole in your pockets. Though you buy a health insurance plan to cover your hospitalization expenses, what about dental treatments? They are not major but the associated costs are. How do you pay for them?